These guys are the best heating and air company I’ve ever used. They show up on time and communicate everything clearly. Great company and I highly recommend them! Very reliable, on time and communication has been the best part of the entire experience - we all know customer service is so hard to find these days and they are on top of their game! I would highly recommend and will use them again and again! I originally called for a quote and rec'd a quick reply. I had questions a few days later, and they were also answered very quickly. I did not at all feel any pressure, but enjoyed being educated on my options. I did decide to purchase furnace and it was installed within a few days (I was in "no rush"). Once again, Wes from Hometown Heating and Air came to my rescue. On Thanksgiving morning I sent a message that I was without heat. He called that very day. He was leaving town the next day at 9 am but he would come to my house around 7 am. He came and restored my heat! I highly recommend this company. This was our first experience with Hometown Heating and Air, and we were very impressed. The tech was knowledgable and courteous, arriving on time and giving us a detailed description of what needed to be done and the work performed. We feared we might need the ducts cleaned, which would have been expensive, but he was able to determine that there was no need to do so! We signed up for their annual service, as this company is a keeper! Hometown Heating and Air is now our go-to HVAC company! Our unit randomly went out in the middle of freezing temperatures and they came swiftly and got us up and running within an hour (on a Sunday!)! The owner Wes, was so genuine and personable! Pricing was incredibly fair and service was thorough! We are thrilled with our experience and will be passing their contact info along frequently! Wes was great. Came out within a little over an hour and got my heat up and running. Highly recommend! Home town heating and air serviced my unit and did a great job on my unit. My son Wesley also installed my trane unit when I bought my home . It was professionally installed and my power bills are always low. I highly recommend that you use Hometown heating and air for installation of their carrier units and any maintenance you might need . My son is a very honest person who won’t sell you anything you don’t need . He’s my son but I highly recommend him and I know once you use his company you’ll always go back to him. His staff is outstanding like him and his company are. Thank you Wes! It was a pleasure meeting you. Thank you for your awesome workmanship and honesty! Thanks again. Highly recommend! We have called Hometown Heating and Air several times in a panic because our system isn’t working properly. (Of course it always seems to happen on a Friday night or Sun morning?!) But no matter when it happens or what the problem is...Wes and Lee immediately address our situation and get our systems back up and running like new. I highly recommend their work and response time. Thank you!!!! Wes was great! Service was fast, professional, and I was not overcharged. Unlike many other HVAC companies I have dealt with, there was no upsell. He did not tell me I needed a new system. It was simple fix. Very honest guy! Hometown Heating & Air is a company I trust. I am not surprised by their growth and success due to the reputation of the owner. Wes Hyder is a man of integrity with a heart to help people! Wes helped me out multiple times at my rental. Completely honest with great prices. So thankful for Hometown Heating Ana Air for coming out on a Sunday to fix our AC! Friendly, professional and quick! Wes is amazing! Very knowledgeable and trustworthy! Hometown handles all of our companies properties. They are always fast and gets the job done right. Wes is fair, dependable and knowledgeable. We highly recommend Hometown Heating and Air! You cannot go wrong calling Wes. Professional, knowledgeable, reasonable. I cannot recommend this company enough. Thank You for the Fast & Responsive service! We had our heat pump replaced and a tune-up on our HVAC unit this morning. I highly recommend Wes Hyder and Hometown Comfort Heating & Air! Great Customer Service and an Even Better Price! Quick response and helped me get my issue taken care of with one of the coldest nights of the year coming. My Nest Thermostat was wired incorrectly. As a result, it was running both heat and air conditioning at the same time non-stop. It caused my gas bill and electric bills to double. I called Hometown Heating & Air. Wes was able to identify and fix the problem in less than 30 minutes saving me hundreds of dollars. I highly recommend this company!! Top notch service! Our 16+ year old system was nearing its end and wasn’t very efficient anymore. Wes was very knowledgeable about what systems and features were best suited for our house, layout, and needs, and spent great time exploring options, costs, etc.We now have a quiet, smooth running, new Carrier system that works great and should save on our power bill compared to our older less efficient system. Great job and service, thanks! Awesome customer service, very professional and knowledgeable. Delivered what was promised on time and at a fair price. Definitely recommend! Comfort Solutions for Your Home - Made Easy! 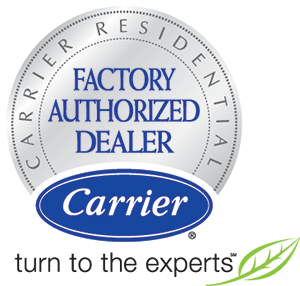 Hometown Heating & Air is your Carrier Factory Authorized Dealer in and around Buford, GA. We understand that repairing or replacing your system can cause you financial strain. Our experienced technicians are certified and also able to repair or replace your HVAC system quickly. There is no reason to stress out about paying for repairs or replacements. We are here to help you with a variety of financing options. Hometown Heating & Air provides flexible finance options with approved credit for all HVAC repair and also replacement needs. We accept cash, check, and also all major credit cards. We also offers finance solutions through Wells Fargo. 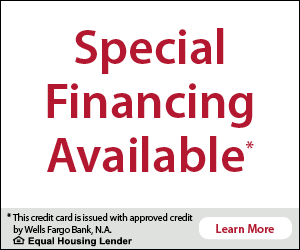 We are proud to offer finance options at Hometown Heating and Air! Therefore contact us today and we can go over all of our payment options with you. Contact Hometown Heating & Air to discuss finance options for your heating and air installation. Our staff can answer all your financial questions. Don’t let finance worries stop you from being comfortable. We are happy to help you get your home comfy again!